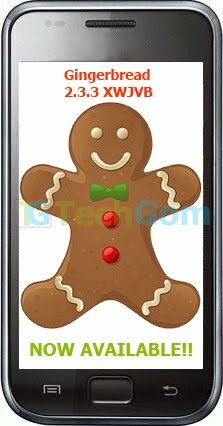 TechGom: Samsung releases Gingerbread firmware for Galaxy S users!! Samsung releases Gingerbread firmware for Galaxy S users!! People always keep complaining that Samsung is slow with the updates!! Samsung has just released their official Gingerbread 2.3.3 as mentioned earlier. This is the official upgrade is for Nordic regions. You can upgrade to this firmware using Samsung Kies if you are from Nodic regions. The official upgrade is I9000XWJVB. XWJVB is a 2.3.3 Gingerbread firmware!! Build Date of XWJVB is 8th April 2011. With this Samsung has proved that its improved a lot in the past year, and has understood that providing support is importance for their devices to sell well in this competitive market!! Samsung Galaxy S is the first non-Nexus phone to get Gingerbread 2.3.3 officially!!! Only Nexus S and Nexus One are running 2.3.3 Gingerbread currently.. 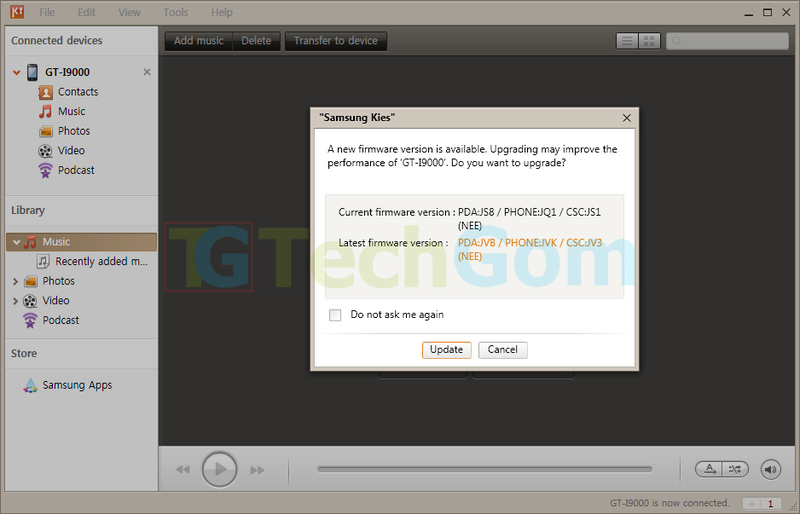 If you have installed the XWJS8 firmware installed from here, then you can update directly from Samsung Kies. As soon as you connect your Galaxy S to the PC, you will be prompted with this upgrade message!!! Follow the on screen instructions to get your Samsung Galaxy S updated to the official 2.3.3 Gingerbread.. Here are instructions for Installing 2.3.3 Gingerbread XWJVB on Galaxy S using ODIN. Have u flashed XWJVB on ur phone yet ? Plz let me know if the download mode is working after upgrade. Also tell me whether u have updated using only the PDA file or all the files. Yup I have flashed XWJVB on my SGS. I have flashed the 3 file firmware as shown here. Regarding download mode I have not yet checked that..
Everything seems to be gud..